*Was motivated by Tryne's City Castle. *If your clay texture isn't dark orange/light brown or so, then replace it with orange wool. This project by Nefashus is licensed under a Creative Commons Attribution-NoDerivs 3.0 Unported License. You are allowed to use this on your Server etc. as long as you give me credit. 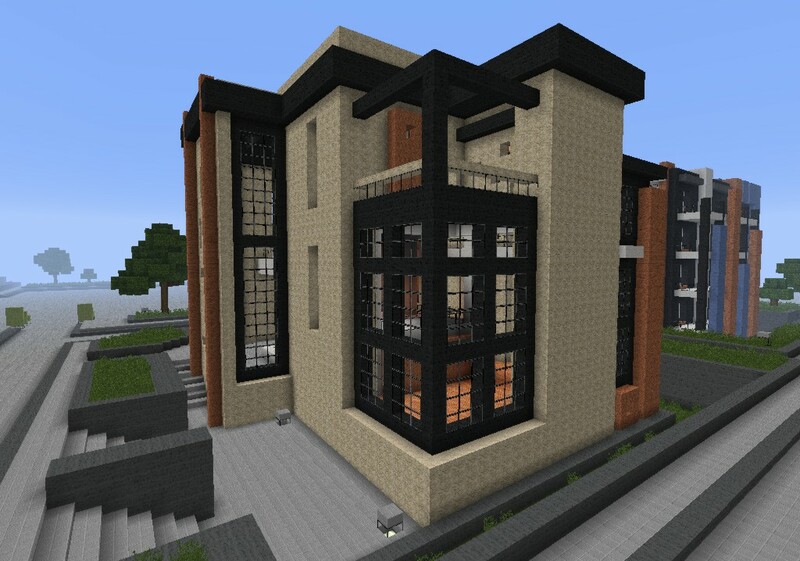 This is actually one of the best modern builds I have ever seen! and trust me, I've seen some good builds. 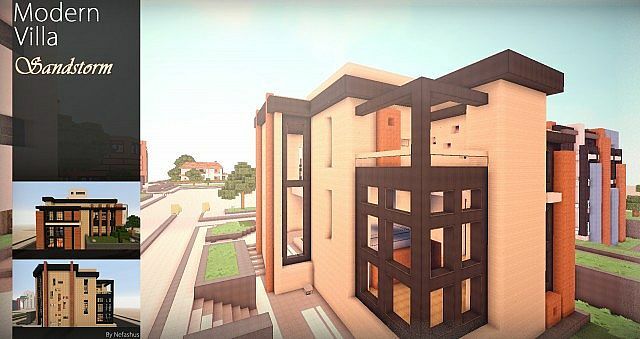 how called this epic texturepack and where can i get it ? It is a custom version of Misas! Just download Misas64x64 (google it), it is also epic!! Very nice, it would be even better if you could somehow incorporate in (a) door(s) to the front. Hey man, you gotta release that texture pack soon! We are craving for it! Wish this had a world save. Diamonded and Favorited! woah this is really cool! nice work pal! 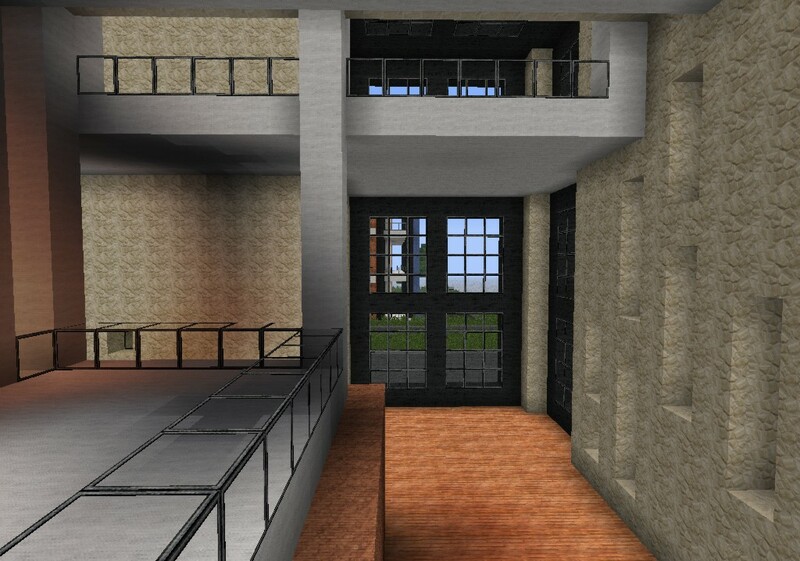 Btw: If you want you can import all my modern buildings to your map! its seemst like you taking over Tryns work. Awesome! 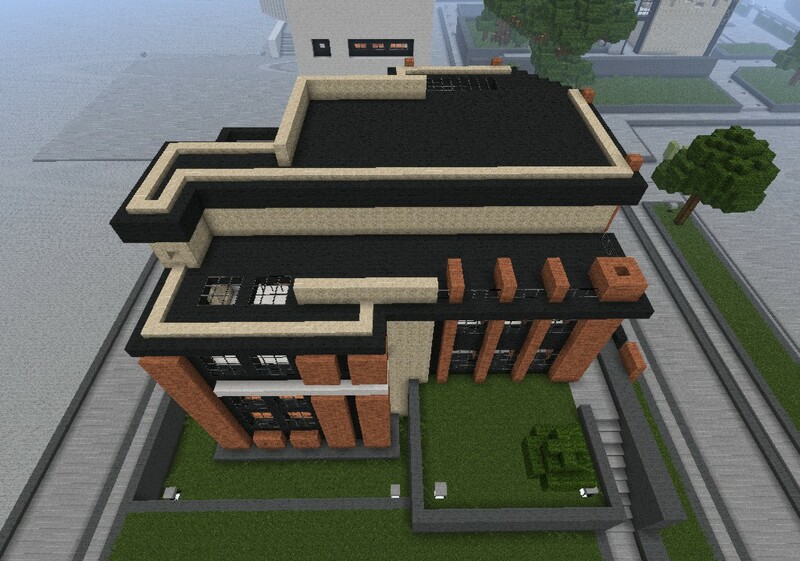 I love the way you use clay with this house, it mixes very well with the other materials. 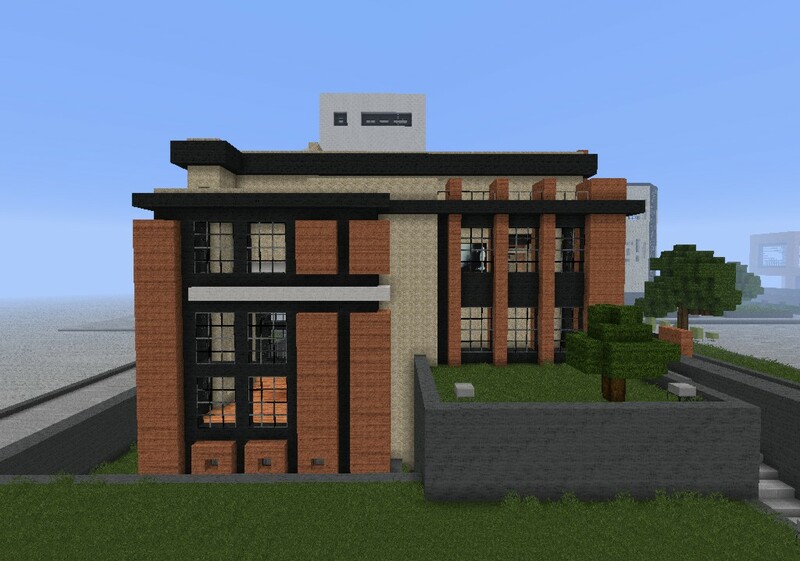 Your modern builds have been great so far, keep it up. 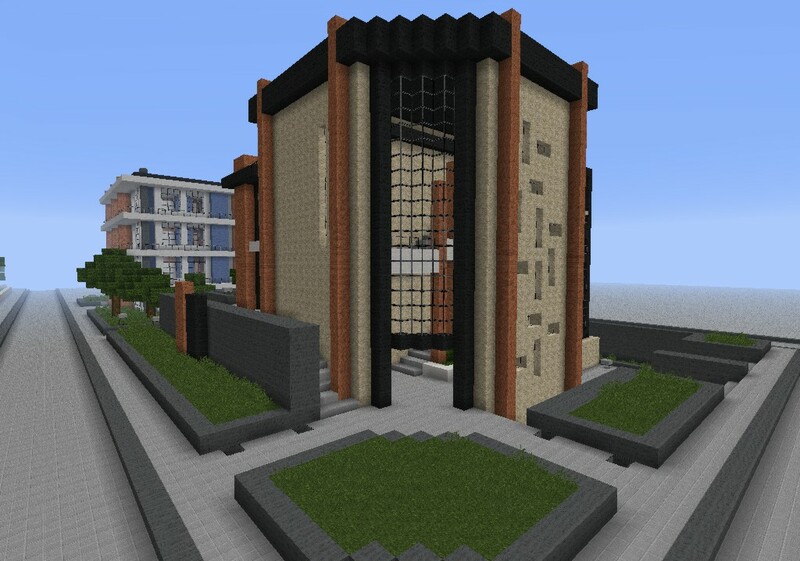 Do you have a server you build on or build these on or? Wow, looks really cool. I'm a sucker for sandstone :D.
Looks Great. Love How You made the Colors Blend. Ok? 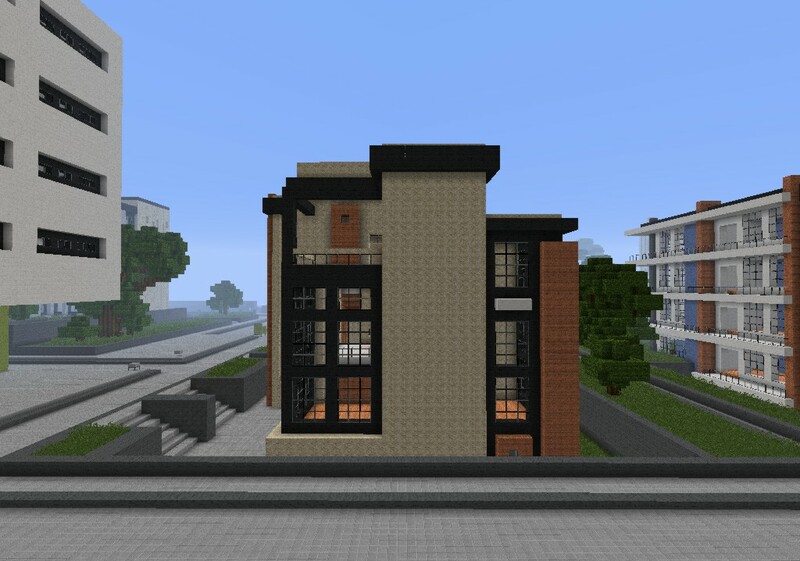 I made this and the other modern house like 2-3 weeks ago, only uploading them now. No problem, It's just it's kinda cool. I think it depends on how you present it, my empire state building replica got hardly any views, and i reckon it's better than this (there's more effort at least). Yes, which depends on how you present it. If your project get enough diamonds in 24h then in will be popular. (Maybe something like diamonds/time, but only in the first 24hours). Why all the downness guys? 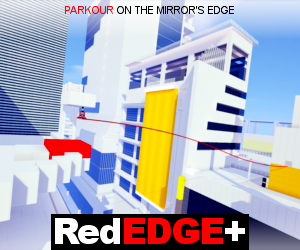 (oops, not a word) It looks cool, I enjoy looking at it. 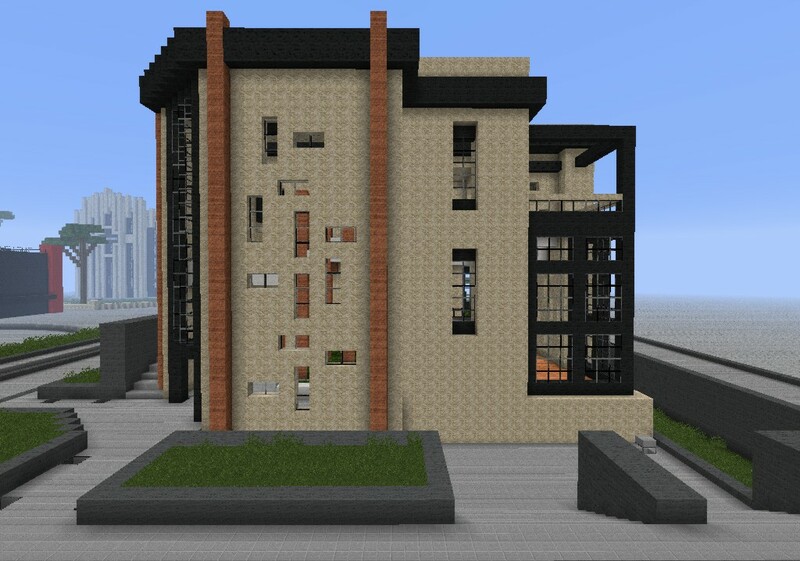 It is my texturepack, not finished yet.